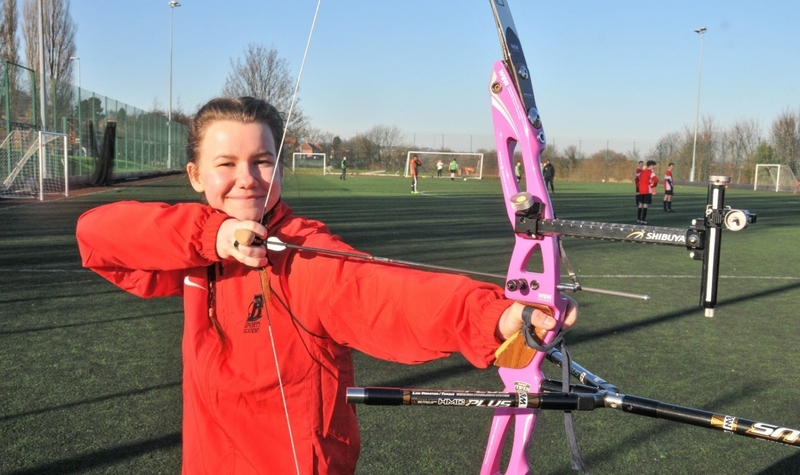 Barnsley Sixth Form College student Megan Tinker is setting her sights on representing the Great Britain Archery team. The 17-year-old took up archery in 2013 after developing an interest in the sport when reading the Hunger Games trilogy. Megan’s parents bought her a ‘have-a-go’ experience as a birthday present, where she realised she had the ability to carry out the sport. Currently in the Dearne Valley Archery Club and the Archery GB Performance Academy for 17-21 year olds, she is preparing for the selection trials for the Archery GB team. This will enable her to compete at the World Archery Youth Championships in Argentina in October 2017. Megan is part of the Barnsley Sports Academy within college and works on her strength with the coaching staff. This has enabled her to access an Elite Sports Performance Bursary to fund aspects of her competition such as equipment and travel.